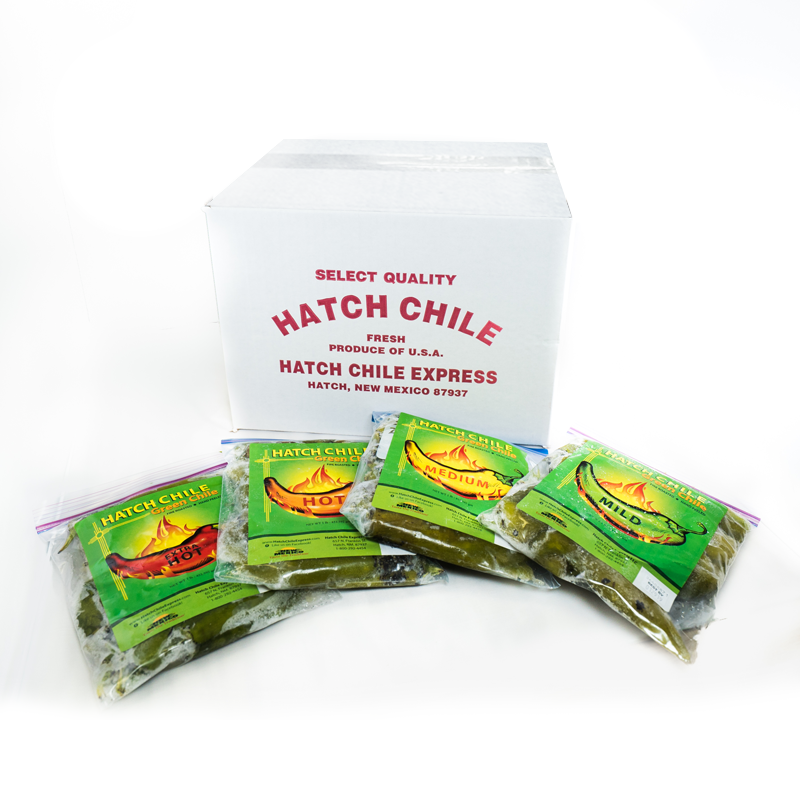 We offer a 10 (Ten) pound box of whole Hatch Green Chile, it is 10 (Ten) one pound packages delivered to you by Federal Express Priority Delivery and shipping is included. PLEASE NOTE: If you wish to mix varieties in one box, tell us which varieties you want and how many pounds of each in the “Order Notes” on the checkout page! 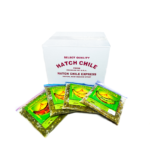 A collection of our “most requested recipes” is included with this order. These peppers are addicting! Perfect balance of heat and flavor. Been ordering them for years. I like the Sandia (hot). And put them on everything! I am hooked on these peppers. Now I send them to Massachussettes To my son-in=law and daughter.